Delaware Seaside Bride has partnered with Barefoot Beach Bride to host a bridal show at one of Delaware’s newest venues – Smokey Hollow. The bridal show will be held Sunday, November 11 from noon to 3 p.m. Tickets cost $10 in advance and $15 at the door. Brides-to-be may attend for free with the purchase of two tickets. 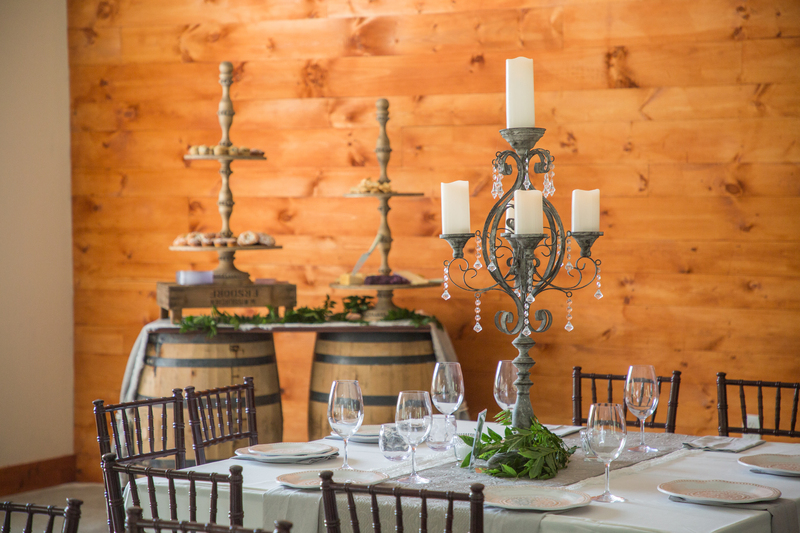 Located in Selbyville, just a few miles from the beach, the barn venue boasts 4,900 square feet, crystal chandeliers, with brick and wood accents, and can accommodate 288 seated guests to 600 guests. “The venue itself has a timeless interior that allows you to create a wedding or event whether its country rustic, bohemian chic, or classic elegant,” said Noonan. “What makes this venue so unique is the property. It sits on 100 acres of pristine private property surrounded by trees and a pond. Over 30 vendors will be attending the show, including Taste Events; Bear Trap Dunes; La Vida Hospitality; Vittles Catering & Food Truck; Bethany Blues; Cakes By Dee; Sweet Disposition; Simply Sweets Cakes & Cupcakes; Eventfully Yours; A Sweet Affair Events; All About U Salon & Spa; Eastern Shore Makeup; The Shady Sun Tanning Co.; Peninsula Plastic Surgery; Johane Urlita Artistry & Photography; SHINE By the Sea Creative Hair Design; Sam Ellis Photography; The City Florist; C.M. Baker Photography; Sandals Bridal & Formal Wear; AR White Photography; Sweet Stems Flower Shop; Oasis Travel; Double Treble; Cruise Planners; and DJ Twitch. The latest bridal trends will be on display during a fashion show hosted by Downtown Bridal. Couples who attend will also have the opportunity to tour the property, try delicious eats, and win great prizes. “We’re hoping for a successful bridal show, with brides touring the property and find vendors to help plan every detail of their wedding,” said Noonan. Delaware Seaside Bride is an online resource with a yearly print magazine for couples looking to get married in coastal Delmarva. Seaside Bride shares tips from wedding professionals across the shore, real weddings, and a directory of some of the area’s best wedding vendors. Smokey Hollow Wedding Venue is located at 37632 Lake Ridge Drive in Selbyville. To purchase tickets in advance, visit www.barefootbeachbridesoc.com. For more information about Seaside Bride, visit www.DelawareSeasideBride.com.